The client is a major global supplier of transport and logistics solutions. They have a presence in 59 countries worldwide. They required an electronic proof of delivery system for each consignment delivered. Technology plays a significant part in their modern distribution operation. At the heart of the business is a strong physical delivery coupled with a good delivery of information to customers. So technology had to pay in terms of efficiency and not be an imposing customer cost. One of the key requirements was to make the operation as easy as possible with minimal training needs and little or no working practice changes. This was especially important for contract drivers working infrequently or drivers whose first language wasn’t English. The simplicity of using digital pen and paper was therefore appealing. Another main objective was to speed up administration time and lower costs. Completed delivery notes were being scanned. This was time consuming and required drivers to wait to help resolve queries. Now when proof of delivery notes (POD) are printed they are embedded with a unique pattern that is sourced in seconds from a third party digital print server. 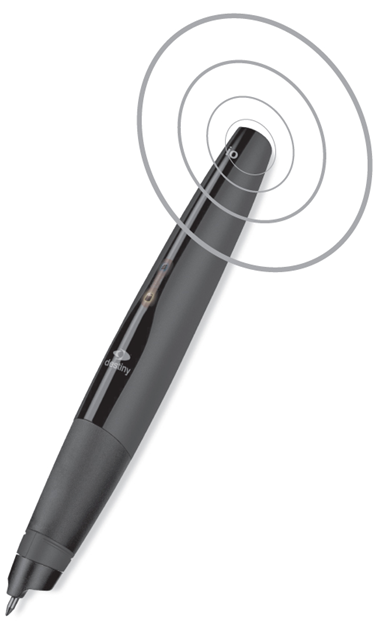 The driver simply hands the pen to the customer who signs the POD note. The driver then ticks a box on the POD and it is sent electronically to a central server. Internal track and trace systems are then updated. The whole process is fast taking less than a minute. The results are simple and speedy POD and 10% of the cost of a PDA.